Unknown August 02, 2018 0 Comment Hard Drive OS Spotlight & Help Windows 10. 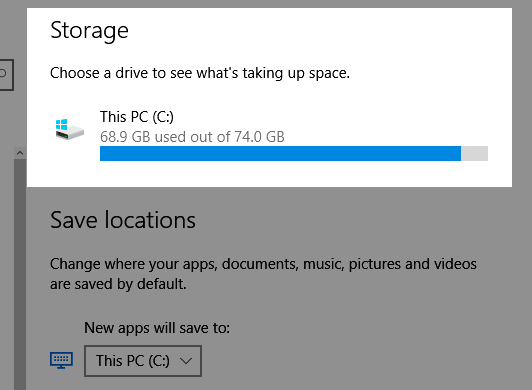 In Windows 10, there are two ways by which you can use to check the hard disk space of your computer. The two ways are, (1) Using File Explorer (2) Using the Settings App. The steps involved are outlined below. 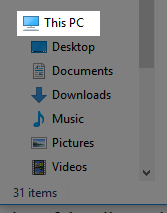 Click the File Explorer icon in the taskbar. From the left section of the File Explorer, click on This PC. In the right section you will see your device hard disk under the Devices and drives section. In our example, Local Disk (C:) is the hard disk, and as you can see from the screenshot below, it shows that we have 5.13 of free space out of 74GB. 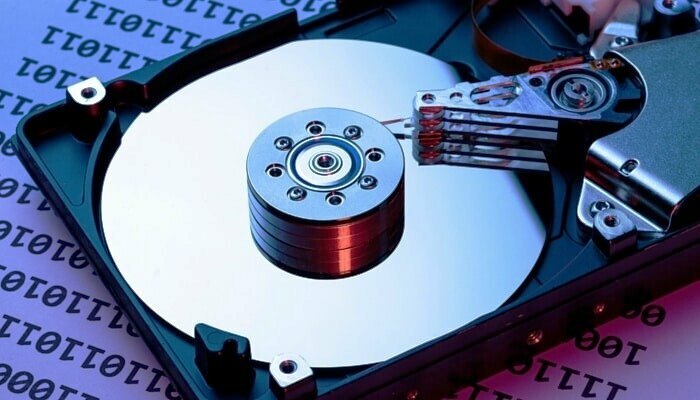 If in your computer there are more than one hard disk connected, or if your hard disk is partitioned, you will see them in this same section, with possibly different hard disk name of course. 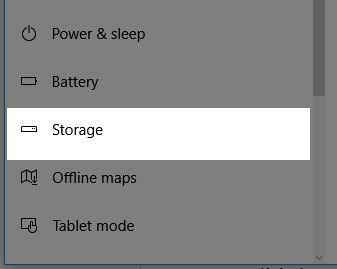 Next click the Settings App icon in the left section of the Start menu. 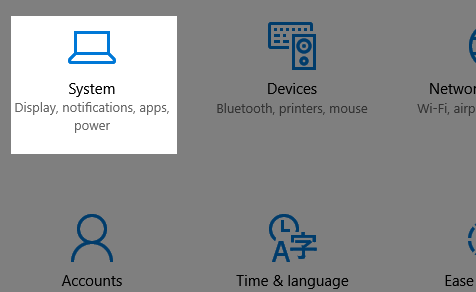 When the Settings App opens, click on the System option. Next, click the Storage button. It is located in the left section of the page that will display after step 2. The next screen will show you your hard drive space under the Storage section. Unlike in the File Explorer option above, this option will tell you how much of your hard disk space is used and the total. Clicking on the hard disk, opens up a screen that shows you a comprehensive list of how much of your hard disk space specific file types, programs, and so on are taking up.